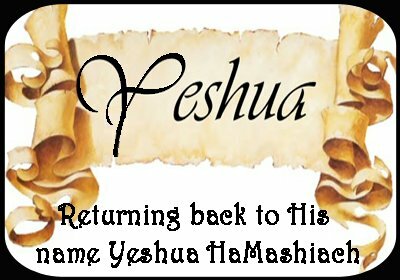 How did "Yeshua" become "Jesus"…? The first letter in the name Yeshua (Jesus) is the "yod" (sometimes pronounced yud). Yod represents the "Y" sound in Hebrew. Many names in the Bible that begin with "yod" are mispronounced by English speakers because the "yod" in these names was transliterated in English Bibles with the letter "J" rather than "Y." This came about because in early English the letter "J" was pronounced the way we pronounce "Y" today. All proper names in the Old Testament were transliterated into English according to their Hebrew pronunciation. But, when English pronunciation shifted to what we know today… these transliterations were not altered. Thus, such Hebrew place names as "ye-ru-sha-LA-yim;" "ye-ri-HO;" and "yar-DEN" have today become known to us as "Jerusalem;" "Jericho;" and "Jordan" and Hebrew personal names such as "yo-NA;" "yi-SHAI;" and "ye-SHU-a" have become known to us as "Jonah;" "Jesse"… and "Jesus." The "yod" is the smallest letter of the alphabet… which is why Yeshua (Jesus) used it in His famous saying in Matthew 5:18; "Until heaven and earth pass away not one "yod" meaning "jot" ("iota" in the Greek text) or one "kots" (meaning "thorn") will pass from the Torah." Not many people know that the English word "iota" in the sense of a very small amount, as in the sentence; "I want you to do what I tell you to the last iota," goes back to the Hebrew expression "the thorn of a yod." Originally, an iota was simply the Greek letter, whose name was pronounced "yota" and comes from the Hebrew or Phoenician yod or yoda. For emphasis to Matthew 5:17… Yeshua incorporated in this saying a well known Hebrew expression… "lo' yod ve-LO' ko-TSO shel yod"… "Not a ‘yod’ and not a ‘thorn’ of a yod" – i.e. "Not the most insignificant and unimportant thing!" When Yeshua (Jesus) declared that heaven and earth might sooner disappear than the smallest letter of the Hebrew alphabet, or the smallest stroke of a letter, He was simply saying that the Torah ("Law or Teaching") of Moses would never cease to be… Therefore the Old Testament is not Old or merely a history book! The second sound in Yeshua’s name is called "tse-RE," and is pronounced almost like the letter "e" in the word "net." Just as the "Y" sound of the first letter is mispronounced in today's English, so too the first vowel sounds in "Jesus." 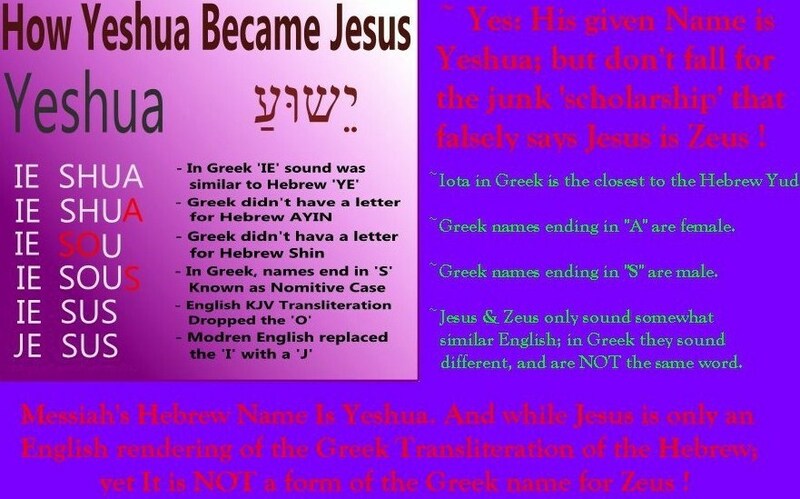 Before the Hebrew name "Yeshua" was transliterated into English, it was first transliterated into Greek. There was no difficulty in transliterating the tse-RE sound since the ancient Greek language had an equivalent letter which represented this sound. And there was no real difficulty in transcribing this same first vowel into English. The translators of the earliest versions of the English Bible transliterated the tse-RE in Yeshua with an "e." Unfortunately, later English speakers guessed wrongly that this "e" should be pronounced as in "me," and thus the first syllable of the English version of Yeshua came to be pronounced "Jee" instead of "Yeh." It is this pronunciation which produced such euphemistic profanities as "Gee" and "Geez." Yet ‘Yeshua’ appears there twenty-nine times, and is the name of at least five different persons and one village in the southern part of Yehudah ("Judah"). In contrast to the early biblical period, there were relatively few different names in use among the Jewish population of the Land of Israel at the time of the Second Temple. The name Yeshua’ was one of the most common male names in that period, tied with Eleazer for fifth place behind Simon, Joseph, Judah, and John. Nearly one out of ten persons known from the period was named Yeshua. 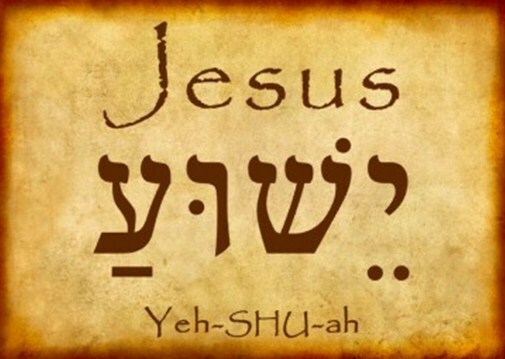 The third sound of the second syllable of Yeshua is the "sh" sound. It is represented by the Hebrew letter shin. However Greek, like many other languages, has no "sh" sound. Instead, the closest approximation, the Greek sigma, was used when transcribing "Yeshua" as "Iesus." Translators of English versions of the New Testament transliterated the Greek transcription of a Hebrew name, instead of returning to the original Hebrew. This was doubly unfortunate, first because the "sh" sound exists in English, and second because in English the "s" sound can shift to the "z" sound, which is what happened in the case of the pronunciation of "Jesus." The fourth sound one hears in the name Yeshua is the "u" sound, as in the word "true." Like the first three sounds, this also has come to be mispronounced but in this case it is not the fault of the translators. They transcribed this sound accurately, but English is not a phonetic language and "u" can be pronounced in more than one way. At some point the "u" in "Jesus" came to be pronounced as in "us," and so we say "Jee-zuhs." The "a" sound as in the word "father" is the fifth sound in… Yeshua’ name. It is followed by a guttural produced by contracting the lower throat muscles and retracting the tongue root an unfamiliar task for English speakers. In an exception to the rule, the vowel sound "a" associated with the last letter "ayin" (the guttural) is pronounced before it, not after. While there is no equivalent in English or any other Indo-European language, it is somewhat similar to the last sound in the name of the composer, "Bach." In this position it is almost inaudible to the western ear. Some Israelis pronounce this last sound and some don’t, depending on what part of the dispersion their families returned from. The Hebrew Language Academy, guardian of the purity of the language, has ruled that it should be sounded, and Israeli radio and television announcers are required to pronounce it correctly. There was no letter to represent them, and so these fifth and sixth sounds were dropped from the Greek transcription of "Yeshua"…the transcription from which the English "Jesus" is derived. So where did the final "s" of "Jesus" come from…? Masculine names in Greek ordinarily end with a consonant, usually with an "s" sound, and less frequently with an "n" or "r" sound… In the case of "Iesus," the Greeks added a sigma, the "s" sound to close the word… The same is true for the names Nicodemus, Judas, Lazarus, and others. English speakers make one further change from the original pronunciation of Jesus’ name. English places the accent on "Je," rather than on "sus." For this reason, the "u" has shortened in its English pronunciation to "uh." In the West, a child's name is often chosen for its pleasant sound, or because another family member had it. The Jews of the Second Temple period also named after relatives (Luke 1:59 - 63). However, almost all Jewish names have a literal meaning. Occasionally this is seen in English names too, such as Scott (a person from Scotland), Johnson (son of John), and Baker (bread maker). But, with Hebrew names it is the rule, rather than the exception. 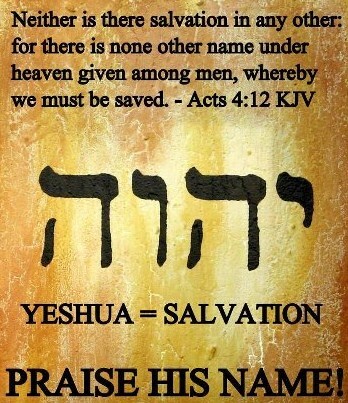 The name Yeshua literally means The Lord’s Salvation or Salvation from the LORD. In comparison, prior to being transliterated from the Hebrew Bible, the name "Iesus" did not exist in Greek. Through multiple translations and changes in pronunciation, a tradition of saying "Jesus" has obscured His name, "Yeshua." It has shifted His perceived message and identity from Hebrew… to Greek! Yeshua (Jesus) was born a Jew… and is a real, historical person, born in the Land of Israel, during the Roman occupation, in approximately the year 3 BC. However, at the time His name was actually pronounced, “Yeshua,” and that is the name we prefer to use. Yeshua was born Jewish… is one of the least contested truths of the Bible. The very first verse of the New Covenant reads: “The book of the genealogy of Messiah Yeshua (Jesus Christ), the son of David, the son of Abraham.” (Matthew 1:1) Who were Abraham and David? Abraham was the first Hebrew. God changed his name from Abram (Genesis 17:5). In Genesis 14:13 he is called “Abram” the Hebrew. So we can see that Yeshua (Jesus) is descended from “Abram the Hebrew.” Even to this day, Jews are also called “Hebrews,” and the language of the Jews is “Hebrew.” Abraham and his descendants were given the unconditional covenant of the Promised Land (Genesis 17:8) and the covenant of circumcision (Genesis 17:10). Abraham is the father of the Jews (Acts 3:12-25). Isaac was his son and Jacob was his grandson (Matthew 1:2). Thus, Abraham, Isaac, and Jacob are known as the Patriarchs, the fathers of the Jews. Jacob’s name was changed by God to “Israel” (Genesis 35:10-12) and he had twelve sons (Genesis 35:23-26) from whom come the Twelve Tribes of Israel. All of their descendants are known collectively throughout the Bible as the Children of Israel (Exodus 1:6-7). One of those twelve sons was Judah (Genesis 35:23; Matthew 1:2) and it is from his name that we get the word ‘Jew.’ Although Yehudah (Judah) was only one of the twelve, by 700 BCE, because of the course of Israel's history, the word Yehudee (Jew) came to mean any person descended from Abraham, Isaac, and Jacob (Jeremiah 34:9). So, for instance, Saul haShaliach (the Apostle Paul) was of the tribe of Benjamin (Romans 11:1) yet he self-identified as a Jew (Acts 22:3). Nevertheless, according to the Bible, the Messiah must be descended from the tribe of Judah (Genesis 49:10) as King David was (1 Samuel 17:12; 1 Chronicles 28:4) and descended from King David himself (2 Samuel 7:12-13; Isaiah 9:6-7; Jeremiah 23:5-6). That is why the Messiah is called Son of David (Matthew 21:9). Yeshua (Jesus) is from the Tribe of Judah (Hebrew 7:14). His earthly father was descended from David (Matthew 1:6-16) and His mother was as well (Luke 1:27, 32-34, 3:23-31). In addition, Yeshua was born King of the Jews (Matthew 2:2). 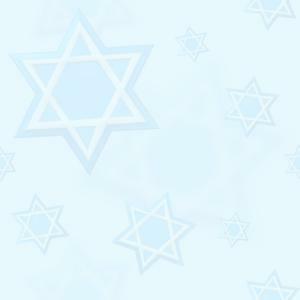 The King of the Jews must Himself be Jewish (Deuteronomy 17:15). Yeshua’s aunt Elizabeth was Jewish (a descendant of Aaron, Moses' brother) and His uncle Zachariah was a Jewish priest (Luke 1:5, 36). Yeshua was circumcised according to Jewish law (Luke 2:21; Leviticus 12:2-3), and redeemed according to Jewish law (Luke 2:22-23; Numbers 18:15). Miriam (Mary), Yeshua’s mother atoned according to Jewish law (Luke 2:24; Leviticus 12:6-8). He is called The Consolation of Israel (Luke 2:25) and The Glory of Thy People Israel (Luke 2:32)… Jesus was born a Jew. Yeshua (Jesus) lived as a Jew… Although He was born in Bethlehem (Matthew 2:1, Micah 5:2), Yeshua was raised in Nazareth (Luke 2:39-40). Both were Jewish towns at the time, according to archaeologists and historians. Bethlehem is just south of Jerusalem while Nazareth is north, in the Galilee section. Both of Yeshua's parents were from Nazareth (Luke 1:26-27, 2:4, 39) and they returned there with the Child when they had done everything according to the Law of the Lord that His birth required (Luke 2:39). His aunt and uncle were also Torah observant Jews (Luke 1:6) so we can see that probably the whole family took their faith very seriously. Yeshua's parents made the 140 mile (225 m.) round trip to Jerusalem every Passover (Luke 2:41) in observance of Deuteronomy 16:16. It was at the age of twelve that Yeshua stayed behind an extra three days to learn from the Temple teachers (Luke 2:46). Although He already understood the Torah well (Luke 2:47), His attitude of listening and questioning indicates love of the Hebrew scripture and respect for the teachers. He also respected the Temple itself, calling it His Father's (Luke 2:49). Near the end of His life, He praised a widow for giving all she had to the Temple (Luke 21:1-4). In adult life, His disciples were Jews (John 1:47, Matthew 20:25-26) and they called Him “Rabbi” – meaning; “my teacher” (John 4:31). Mary called Him “Rabboni” – meaning; “my master” (John 20:16). They sought Him because they believed the Torah and the Prophets (John 1:145). A Pharisee who had not yet come to faith in Him also addressed Yeshua as “Rabbi” (John 3:2), as did a crowd of people (John 6:25). A Samaritan woman easily recognized He was a Jew (John 4:9). Yeshua's disciples spoke Hebrew (John 1:38, 41) and so did He, as well as Chaldean, a closely-related language brought back by the Jews from their captivity in Babylon (Matthew 27:46). In the Sermon on the Mount, He affirmed the authority of the Torah and the Prophets (Matthew 5:17) even in the Kingdom of Heaven (Matthew 5:19-20). Remember there were no New Testament yet only Old Testament! This does not mean that the Old Testament is irrelevant… in fact both Testaments ARE relevant today! Yeshua regularly attended synagogue (Luke 4:16) and His teaching was respected by the other congregants (Luke 4:15). Yeshua (Jesus) taught in the Jewish Temple (Luke 21:37) and if He were not a Jew, His going into that part of the Temple would not have been allowed (Acts 21:28-30). Although He differed with some of His contemporaries on how to keep the commandments (Matthew 12:12), He did not disagree on whether to keep them, saying things as… “If you wish to enter into life, keep the commandments,” (Matthew 19:17). When He healed someone of leprosy, He instructed him to… “Show yourself to the priest and present the offering that Moses commanded...” (Matthew 8:4, Leviticus 14). Yeshua not only taught others how to live a Jewish life, He lived it Himself. The outward signs of this were such things as wearing "Tzitzit" (tassels) on His clothing (Luke 8:43, Matthew 14:36) to serve as a reminder of God’s Commandments (Numbers 15:37-39). He observed Passover (John 2:13) and went up to Jerusalem (Deuteronomy 16:16). He observed Sukkot "Feast of Tabernacles" which is commanded of God to observe (John 7:2, 10). And, went up to Jerusalem (John 7:14). He also observed Hanukkah "Feast of Dedication" (John 10:22) … and probably Rosh HaShanah "Feast of Trumpets" (John 5:1), going up to Jerusalem on both those occasions as well… even though it isn't commanded in the Torah. The inward sign of His Judaism was a circumcised heart (Deuteronomy 10:16, 30:6). When faced with temptation, Yeshua answered from the Hebrew Scripture (Matthew 4:2-10, Deuteronomy 8:3, 6:16, 6:13). When teaching, He taught from the Hebrew Scripture (Matthew 22:42-45). When admonishing, He quoted from the Hebrew Scripture (Mark 7:6-13). Yeshua self-identified as a Jew (John 4:22) and as King of the Jews (Mark 15:2). From His birth to His last Passover ‘Seder’ (Luke 22:14-15)… Jesus lived as a Jew! Yeshua (Jesus) Died a Jew… When Yeshua was taken prisoner by a Roman captain and his accomplices… and some Jewish officials (John 18:12)…He was delivered into the custody of the Jewish priests, elders, and scribes (Mark 14:53). The Roman soldiers would not have placed Him under Jewish jurisdiction if He were not Jewish! Later, Yeshua was brought before the Sanhedrin, the Jewish council (Luke 22:66). 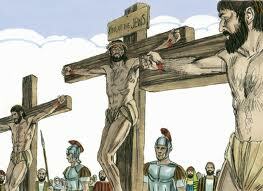 He was charged with an offence against Jewish Law (Matthew 26:65-66, Leviticus 24:13-14, John 19:7). Pilate the head of the Roman Occupation, also recognized the Jewish jurisdiction over Yeshua (John 18:31) …this was because Yeshua (Jesus) was a Jew (John 18:35). Yeshua (Jesus) unequivocally identified Himself as the Messiah (Mark 14:61-62) and as we have seen above, the Messiah must be Jewish. He said He is the King of the Jews (Matthew 27:11) and, as we have also seen above… the King of the Jews must Himself be Jewish…! The Jewish crowd also called Him “King of the Jews” (Mark 15:12). He was mocked, spat on and beaten by the Roman soldiers as “King of the Jews” (Mark 15:16-20) and when they crucified Him, their charge was “King of the Jews” (Matthew 27:37). The place of judgment had a Hebrew place-name (John 19:13) and the place of crucifixion had a Hebrew place-name (Mark 15:22). Joseph of Arimethea, who took custody of Yeshua's body, was Jewish (Luke 23:50-52) and he laid the body in his own new tomb (Matthew 27:59-60). Therefore, Yeshua was buried in a Jewish cemetery. He was also buried according to Jewish custom of the time (John 19:40). Without doubt, Jesus died a Jew! Rav (Rabbi) Sha’ul (the Apostle Paul) tells us that while he was on the road to Damascus Yeshua spoke to him from heaven in Hebrew (Acts 26:14). The Apostle Paul, a Jew, who was born a Roman citizen (Acts 22:27-28), was fluent in Greek (Acts 21:37) and possibly many other languages… but Yeshua (Jesus) spoke to him in Hebrew, the language of the Jews. Sha’ul did not become a believer until well after Yeshua’s death and resurrection… yet an important part of his message is that Yeshua (Jesus) is a descendant of the Jewish King David (2 Timothy 2:8). Many years after His resurrection, Yeshua testified that He is “the root and offspring of King David” (Revelations 22:16), and in a time yet future… two of His titles will be; “Lion of the tribe of Judah,” and “Root of David” (Revelations 5:5). In Matthew 24:20 Yeshua (Jesus) told us to pray concerning… the coming tribulation, that we would not have to flee on the Sabbath. And in Matthew 26:27-29 He told the disciples that He will celebrate the Passover Seder anew with us in His Father’s Kingdom… Halleluyah! The standard He will use at the judgement is… the Law God gave the Jews. To those who do not do the will of God, He will say, “Depart from Me, you who practice lawlessness”" (Matthew 7:22-23). 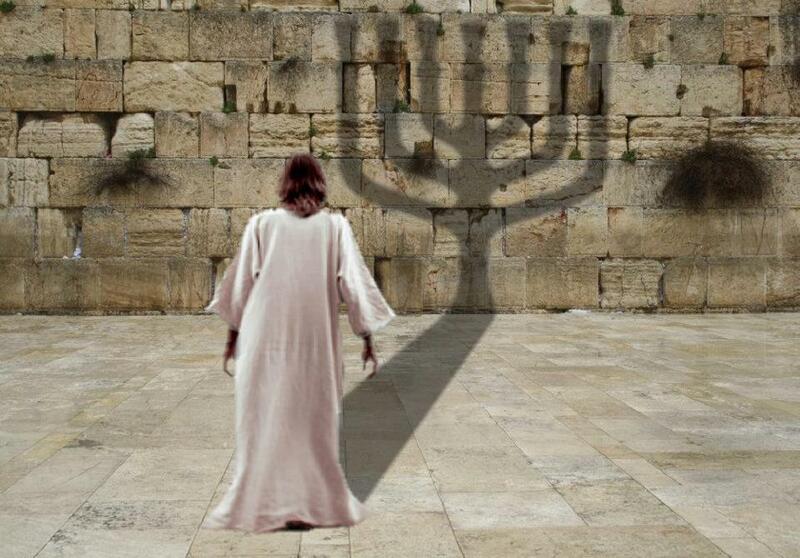 In Hebrews 13:8 we are told Yeshua the Messiah is the same yesterday, today and forever. So, if He ever was a Jew He was resurrected a Jew, and He is one to this day. He was born a Jew, He lived a Jew, He died a Jew, and He was resurrected a Jew. He is alive and Jewish now, and forevermore the same!